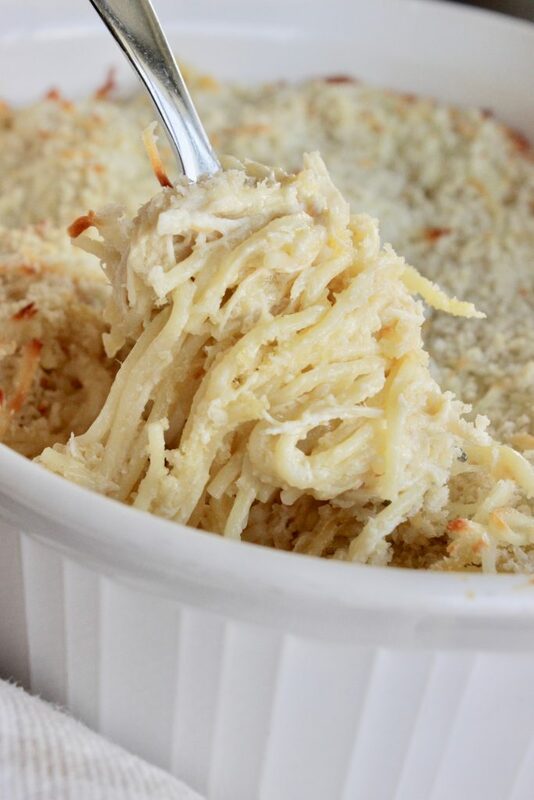 This easy chicken tetrazzini is one that every busy mom needs in her dinner rotation. It’s easy, flavorful, but mild enough for picky eaters. If you’re like me and always on the hunt for easy dinner ideas, or easy chicken casserole recipes, this chicken pasta casserole is what you’re after for sure! 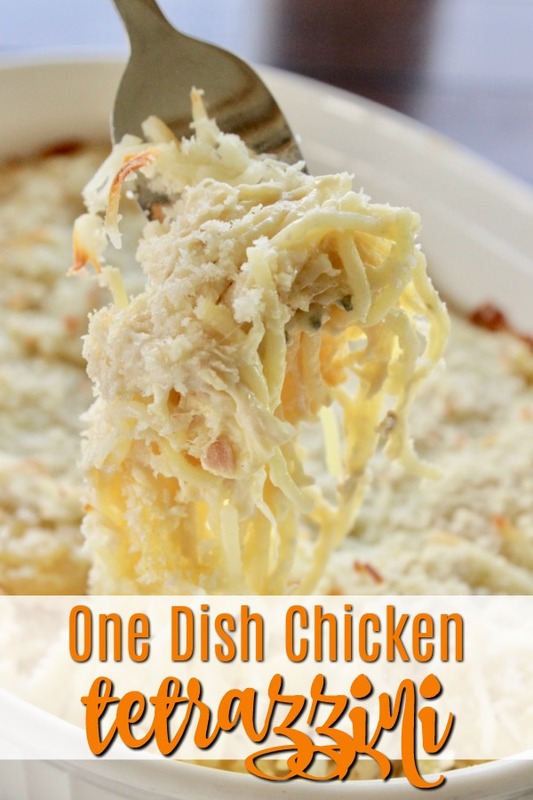 When I need a dinner that I know that everyone will love, I whip up this easy chicken tetrazzini. It’s creamy, filling and perfect for leftovers. And, I must say, this is a great dish to bring to someone who needs help as it can be made ahead, stuck in the fridge and cooked within a couple days or so. 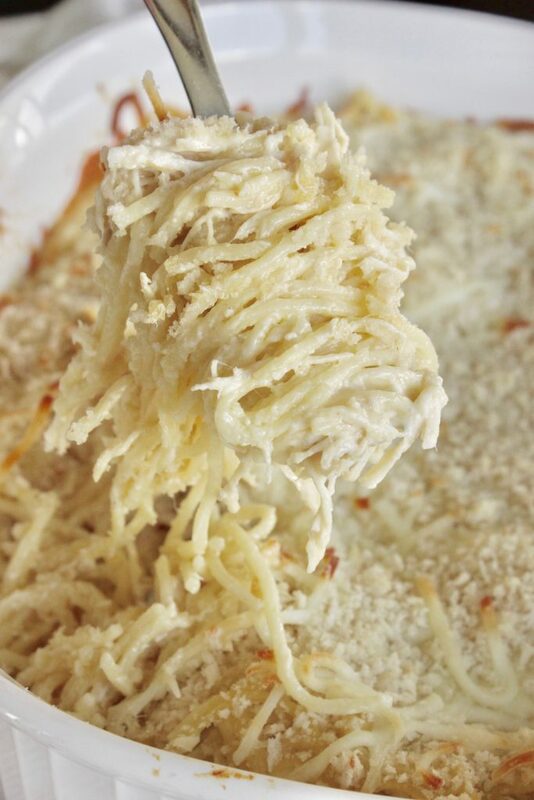 My family loves chicken pasta casserole dishes historically, so I know that I simply can’t go wrong with a tetrazzini. Can I make this a Turkey Tetrazzini instead? Is this Chicken Pasta Casserole easy? Absolutely! 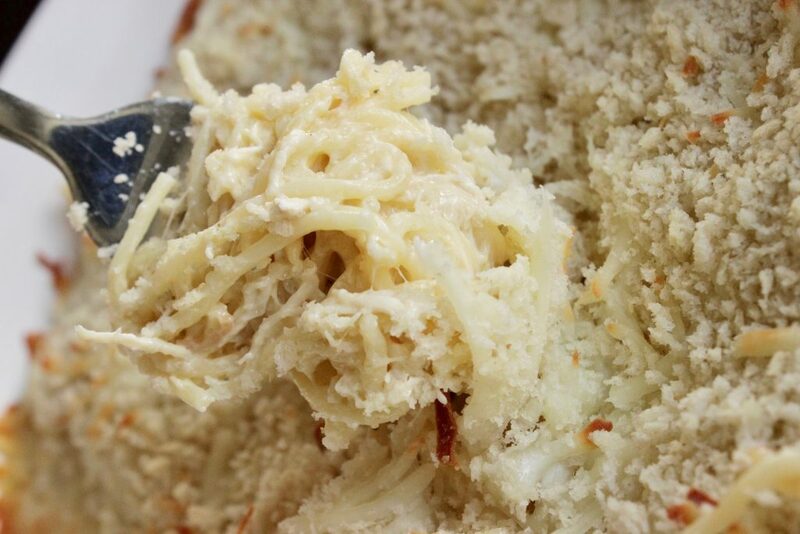 This recipe starts off with shredded chicken. If you haven’t caved yet, I can’t recommend the Instant Pot enough for being the hugest helper in the kitchen. I make shredded chicken in my Instant Pot atleast once a week, if not more. I also make mashed potatoes in the Instant Pot and Mexican shredded chicken for tacos, nachos, quesadillas and more. Once your chicken is shredded (see the crockpot version of shredded chicken here, just sub chicken broth for Rotel) it’s literally a dump and go recipe, ingredients and directions to follow, but I wanted to mention one more thing. Can this Chicken Casserole recipe be split into two meals? 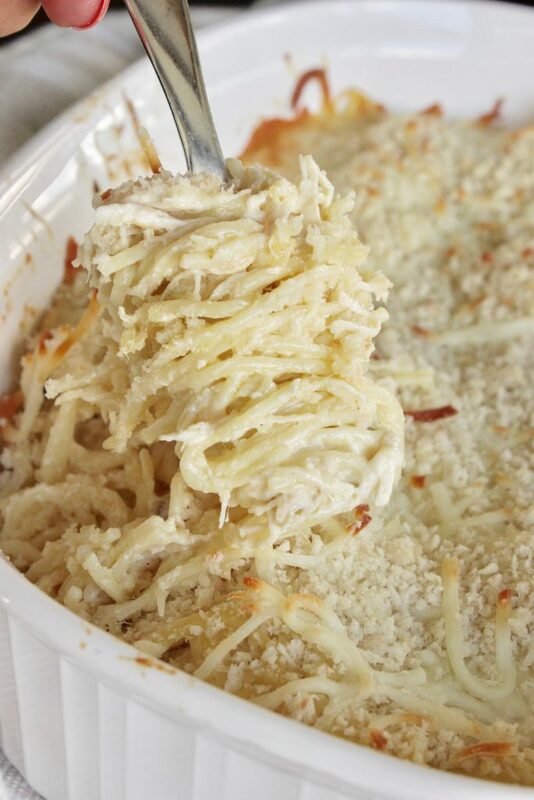 OK, here’s how to whip this “chicken spaghetti casserole” up. Next, you’ll assemble the casserole. It’s seriously so weeknight easy one dish dinner that it’s sinful – because it will take no time at all and everyone will love it! Combine butter, cooked & shredded chicken, soup, sour cream, salt, pepper, parmesan cheese and milk. Give that a good stir and add in the rinsed cooked noodles. Pour into a sprayed/greased 13×9 casserole dish. 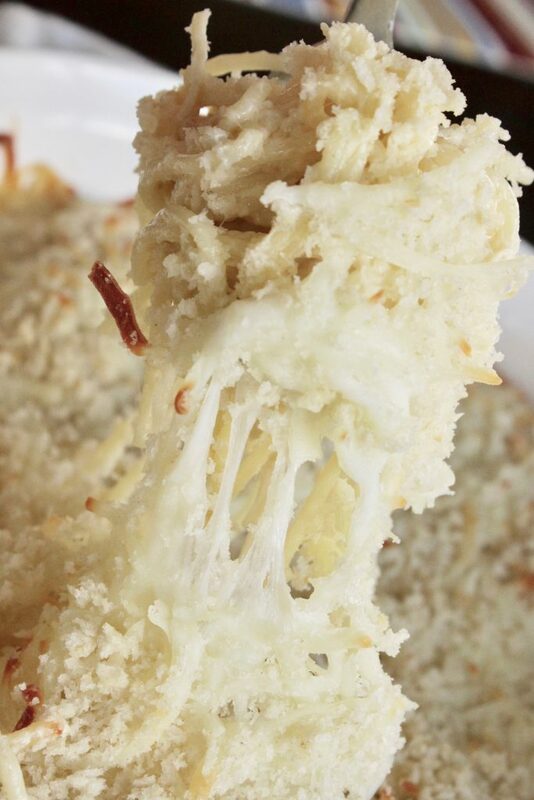 Sprinkle mozzarella and parmesan cheeses on top. Bake in a preheated 350 degree oven for 30 minutes, add panko bread crumbs on top and bake ten minutes more. 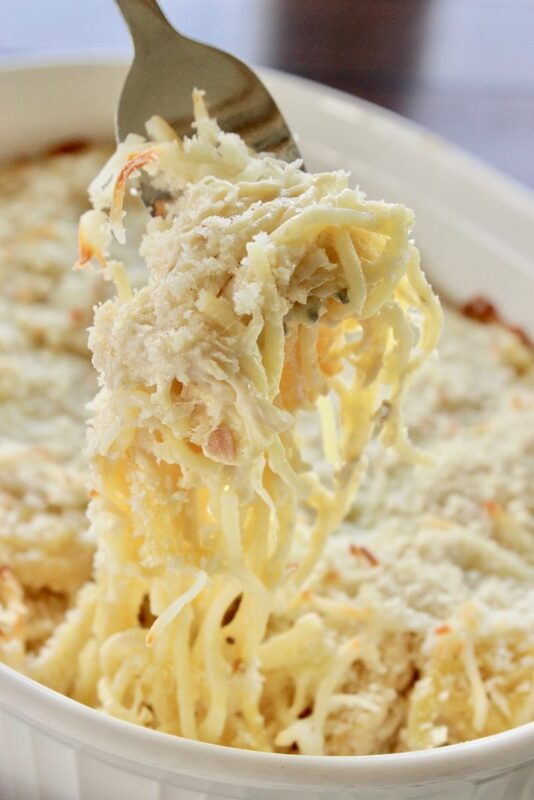 This easy chicken tetrazzini is one that every busy mom needs in her dinner rotation. It's easy, flavorful, but mild enough for picky eaters. If you're like me and always on the hunt for easy dinner ideas, or easy chicken casserole recipes, this chicken pasta casserole is what you're after for sure! Combine butter, cooked & shredded chicken, soup, sour cream, salt, pepper, parmesan cheese and milk. Add cooked noodles. Pour into a sprayed/greased 13x9 casserole dish. Sprinkle mozzarella cheese on top. Top with Panko bread crumbs, bake ten minutes more. Great job for publishing such a beneficial web site.